The market is moving in the right direction, but looks weak. Gold: Gold prices are preparing to go down, after passing the peak, as expected. I do not know when it will start to fall. Its resistance line is $ 1318, and the critical price line is $ 1302. Silver prices have already begun to decline. It will drop relatively more than gold. The resistance price line for silver is $ 15.861, and the key price line is $ 15.64. They may fluctuate. We need to be careful. If they go up, it will be good selling opportunities. Euro: The euro is moving as expected. EURUSD is likely to fluctuate for a while. It is likely to fall to around 1.05. Its important price lines are 1.1341 and 1.1376. If it climbs over 1.1341, it would be an opportunity to sell. The GBPUSD is in a position that can not go up and can not go down. That means trading is not easy. It would be better to wait outside the market. 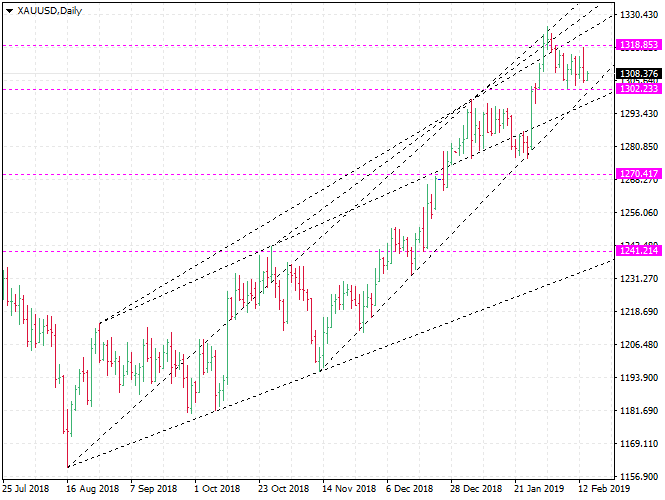 WTI: Brent oil is likely to go up one step further. It is likely to rise up to $ 68.5. In that case, the WTI is likely to rise up to $ 57.5. WTI's key price lines are $ 55.5 and $ 49.5. The WTI is in a very unstable situation. It would be better to stay outside the market until the market stabilizes.